In a somewhat philosophical departure from this site’s usual content, I want to look at some of the ideological foundations of China’s “New Left.” Since Reform & Opening Up began in 1979, outsiders have tended to think true socialism in China is dead and exists in name only. For the most part, Chinese leaders have outgrown the lust for socialism and the New Left, which advocates a return to Maoist egalitarianism, is a regressive force that wants to undo China’s capitalist development. But China has never really taken its eye off the ball of true socialism. Primitive Communism: Co-operative tribal societies (hunter-gatherer clans). Slave Society: a development of tribal progression to city-state; aristocracy is born. Socialism: workers gain class consciousness, and via proletarian revolution, depose the capitalist dictatorship of the bourgeoisie, replacing it in turn with dictatorship of the proletariat through which the socialization of the means of production can be realized. It’s important to note the difference between the socialism and communism stages. Communism is the ultimate endgame when the entire world has embraced socialism and there’s no longer a need for classes or countries. Communist Parties like China’s hoped to inspire international revolution with their socialist model and eventually achieve communism. But this doesn’t look to be on the horizon any time this millennium and is no longer any kind of immediate focus for China. Moving to the socialist stage is still very much China’s intention though. China’s initial socialist movement, as well as every other that’s been attempted, failed to adhere to Marx’s order of development. They all tried to jump straight from feudalism to socialism without ever mastering capitalism. This was one of the implications of Mao’s “Great Leap Forward.” He hoped China could successfully leap over the capitalist phase into a socialist utopia. We all know how that turned out. So when Deng Xiaoping initiated “Socialism with Chinese Characteristics” (AKA capitalism) it was an acknowledgement that China couldn’t rewrite the laws of Marxism. They’d have to go through the capitalist phase before they could achieve socialism. Marx wrote that capitalism will then slowly dig its own grave because the rich will keep getting richer and the poor will keep getting poorer. Eventually the workers will notice the “unpaid labor of the working class” going to the capitalists (like seeing their bosses and leaders buy lavish homes which would take them several lifetimes to afford). The workers have then gained “class consciousness” and see the capitalists for the exploiters that they are. This is when they take back the fruits of their labor and achieve socialism through revolution. Back in modern China, with inflation, corruption, environmental degradation, and already enormous income inequality worsening, the New Left thinks the time has come to transition from the capitalist stage of Marxism to the socialist egalitarian stage. There are those die-hard Maoists in the movement who never wanted to embrace capitalism, but for much of the New Left, they simply think this is the right time in history to take the step which was taken prematurely under Mao. But there’s a problem. 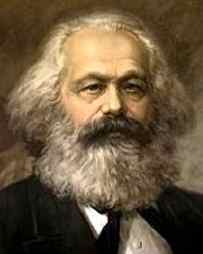 In Marx’s vision, the capitalist stage of development is under a democracy that’s basically controlled by the capitalist businessmen (sound familiar?). After the workers overthrow this system, the socialist stage dissolves the state and becomes a grouping of autonomous collectives, each democratically governing itself. Mao tried a bastardized version of this which was both premature and under central government control. The problem is that China straddles these stages now. There’s no democracy to overthrow in the Marxist sense – only a failed socialist system that now has all the symptoms of an exploitative capitalist society…minus the democracy. Some believe that socialism can be achieved through evolution without revolution, which is what the CCP is banking on. But traditional Marxists would say that’s impossible, since those leaders guiding the evolution would be corrupted and simply become capitalist oppressors themselves (again…sound familiar?). So the Communist Party is in a sticky philosophical situation. How can they fall in line with the Marxist view of development? China has gone through many cycles in history where the ruling dynasty is overthrown by a peasant movement which then redistributes the wealth. Then that government inevitably becomes too tyrannical and corrupt, then the process repeats itself. Wen may see democracy as an end in-and-of-itself, or he may honestly believe it’s just the next step toward socialism. But either way he doesn’t seem to think the time is ripe for the socialist stage now. 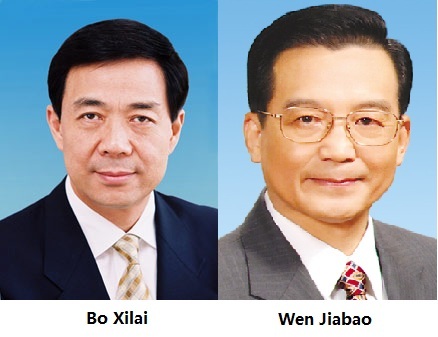 However, New Leftists like Bo Xilai seem to think they can guide a socialist transformation under the current authoritarian apparatus and start it now. I’ve written before about both Bo and Wen, whom I suspect as individuals are using a lot of empty rhetoric and gimmicks for their own purposes. But their stated ideology is worth looking at because it represents two competing views within the Party. So could either of their views altering Marxism work in China? Or could the true Marxist vision of socialism work? Most would probably be inclined to say, “No, just look at history.” But again, socialism has never been tried in the way Marx laid it out. Attempts have always been bastardized in some form. Some would argue socialism is already starting to happen with the Scandinavian countries of Norway, Denmark and Sweden. They have some of the world’s highest tax rates, greatest income equality and all kinds of socialized welfare programs. Interestingly enough, they’re also ranked among the highest in per-capita income and happiness. And they’re evolving this way naturally – without the Marxist need for a revolution. Then there’s the classic Achilles heel of socialism: Greed. Marx’s vision included “labor vouchers” that would be awarded to workers based on the amount of labor they contribute, which could then be exchanged for goods. Marx thought that this would be liberating for the formally exploited, as it would give them freedom to pursue their own interests and develop their own talents. But it failed to address what would motivate someone to spend seven years in medical school if their quality of life would be comparable to a high-school dropout. So the pure Marxist vision of socialism would probably have to be tweaked if it were ever to work in practice, if indeed it ever could work. The New Left is convinced it can work, and will work, sooner rather than later. But with China still far from catching up to even the developed capitalist societies of the world, it’s hard to imagine a successful transition anytime soon. And it’s very hard to imagine China’s Communist Party will be the one to break the historical cycle both in China and the previous socialist movements of the world. But to assume it’s totally impossible and that true socialism is dead in the world would be a bit hasty. The Communist Party still sees it as the ultimate prize and is being much more patient and flexible in its approach than any other nation ever has been. On the other side of the world, The U.S. and the PIIGS (Portugal, Italy, Ireland, Greece and Spain) seem like they’ll continue to vote and protest themselves lower taxes and greater benefits until they’re bankrupt; which seriously calls into doubt Francis Fukuyama’s “End of History” theory that capitalist democracy is the end-all-be-all of human development. Of course, it’s very possible that no system will work in the long-run and humanity is screwed. People at the bottom of any system may continue to want more than they can produce. Those at the top may continue do whatever gives them with the most power – whether that means pandering to those at the bottom or using an iron fist and bastardized ideology keep a hold over them. It would be presumptuous for any ideology to declare victory now or for the foreseeable future, but whatever happens, it should be an interesting century for philosophers. Dear Eric may I ask a question about the New Left’s effect on the policy process? Can it be argued that New Left intellectuals, as opinion leaders, did play a role in pushing the government to deal with the labor issue in the preceding years of Labor Contract Law (2008)? Possibly, but there’s really no way to know who pushed which legislation through. The decision process isn’t exactly transparent. The Catholic church and CCP: estranged brothers?